Claire and I are definitely being those girls at the moment. 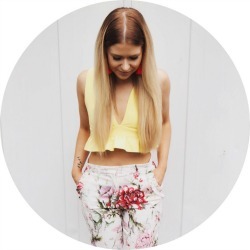 We have decided that summer is officially on it’s way out (even though I tried to wear I chunky knit to work today and may have somewhat melted) and it is now time to get properly excited about autumn/winter. Even though we live together, work together and generally see far too much of each other, we’ve somehow not run out of things to say to each other. This has been especially true this week, where we have spent approximately 100000000* hours discussing how we’re going to work the autumn/winter trends and what things we’re going to look at buying. I must admit, I have been quite worried about the autumn/winter trends. So worried in fact, that I had a nightmare I dressed head to toe in tartan last night and Kate Moss told me I looked like a genuine fool (which is probably something that would actually happen if I ever met K Mossy). After some hyperventilating, a few cups of tea and some soothing head patting by Claire, I’m feeling a bit more positive NAY EVEN EXCITED about things to come. So excited that I’ve put together my wishlists for each trend, even though most high street stores haven’t revealed their autumn/winter collections yet. WHOOPS, I’m keen. Call this a autumn/winter trend sneak peak if you will (you probably wont), but here’s what I’m thinking of investing in this autumn/winter. Does anyone else have that problem of not really loving a trend but then coming round to it as soon as it’s going out of fashion? SNORE. This happens to me constantly. For example, I have finally decided that I like creepers approximately 2 years late. With this in mind, I have started convincing myself that I like the tartan trend months in advance so I’m prepared for the new season. I think I might have become as obsessed with it as I am with neon at the moment, so I’m going to be seriously investing in some key tartan pieces when the time comes! Oh to own that Cambridge satchel…anyone want to lend a homegirl £140? I’m a bit dubious of the autumn/winter PVC trend but I’m willing to embrace it with rubbery arms, provided things don’t get too prostitutey. My theory is that winter pastels are going to be more on the ‘dusty’ side – with more grey tones in them that the bright summery pastels. This is definitely an autumn/winter trend that I’m looking forward to! Apparently I’m really excited to wear lilac. WELL. These are just the top three autumn/winter trends that I’m looking forward to! I’m also really keen for oversized coats, metallics (sorry Claire) and wearing dark plum lipstick again. What do you all think? Have you got any trends you’re excited about? Next Article DIY Hair Mask: An Eggcellent Idea? 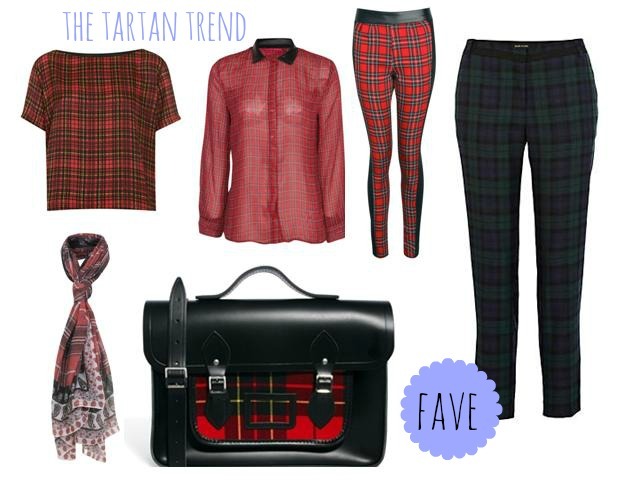 I’m SO excited about the tartan trend! I actually blogged about it a few days ago, ha! And I’m a huge fan of pastels so being able to wear them in A/W without looking a tad foolish is going to be great!